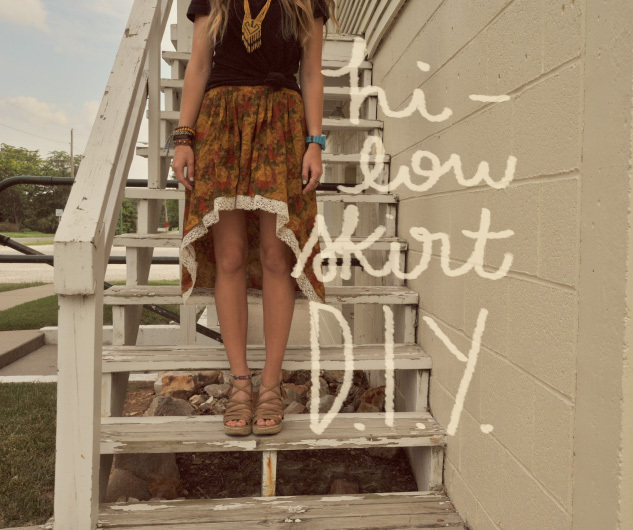 always rooney: Simple Hi-Low Skirt D.I.Y. I fell in deep like with the hi-low trend when I found my dress for senior prom. 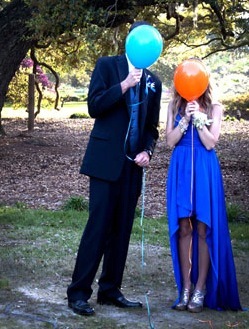 I wish I could wear my prom dress all the time…but that may be a little awkward. Thank goodness this year you can't go in a store without seeing a hi-low skirt or dress. My room mate was cleaning out her closet and gave me this skirt, I decided I'd make a few cuts and turn it into a hi-low skirt. 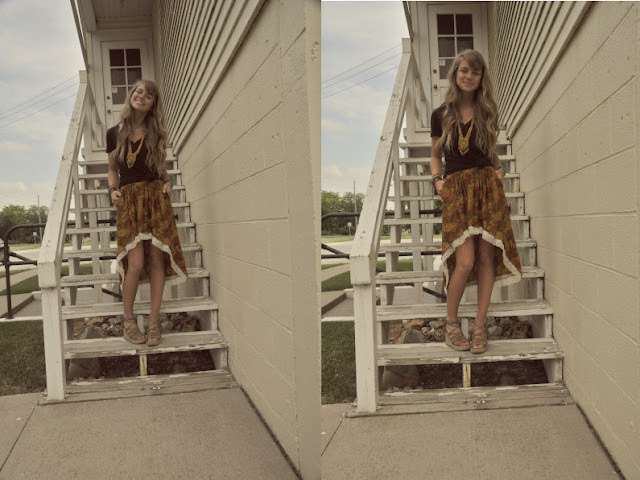 It is super simple, and can also be done with a maxi dress. I suggest using a semi-full skirt with a few pleats so it flows behind you. 1. Try your skirt on and measure where you want the shortest point of your skirt to be. I measured a few inches above my knee and left room for a small hem. Mark with a washable pen or sewing pin. 2.Take the middle of your skirt from the front and back and lay skirt flat, pull skirt out where it is fanned out completely. 4. 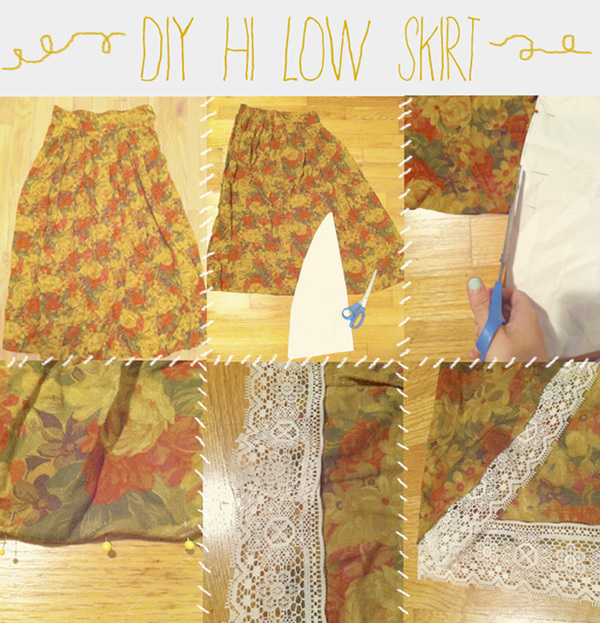 Pin your pattern to your skirt that is folded in half, line it up to the mark of the shortest point of your skirt. Cut along the pattern line. *Remember to keep the pattern parallel to the floor, not going with the shape of the skirt, you should only line the top of the pattern to the mark of the shortest point of your skirt. 5. Starting in the middle of the back of your skirt, take your lace and pin it around the edges on the inside. 6. Now hem your skirt and it is ready to wear! I can't wait to pair my skirt with a dark sleeveless chambray shirt and a fishtail braid. Today will be spent riding my bike to the ice cream shop, I hope you have a great Saturday! P.S. 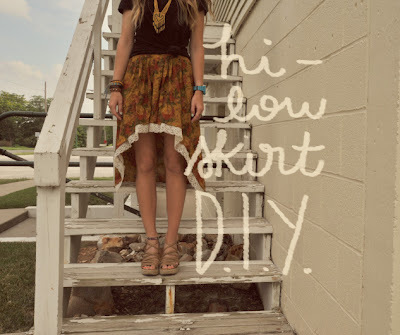 If you make your own hi-low skirt I would love to see it! aww sooo adorable, this looks amazing i love it!! :):) i've been wanting to make one for a while now, yours looks so cute now i really want to make one! and thanks for stopping by and for the so sweet comment, and okay so funny that you bought that shirt! i loveee it, and thats awesome that you got it half off! it seriously looks cute with everything, i cant wait to see how you style it!! GIRL! your blog is AMAZING!!! 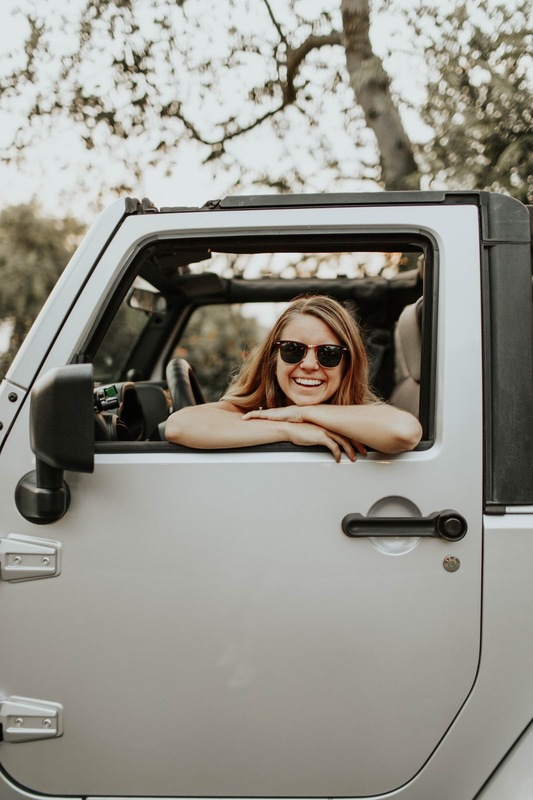 thanks for stopping by and i love what you're doing on your blog. Such a great post!! Thanks for sharing, lady!